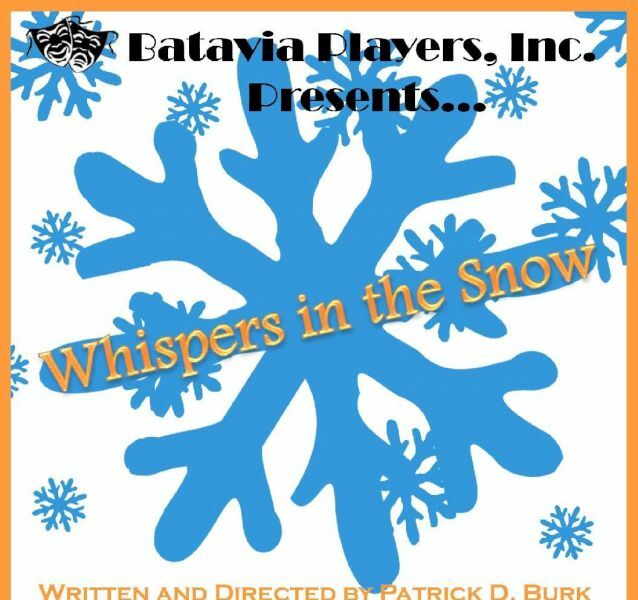 The mission of Batavia Players Inc. is to bring affordable theatre to the community by making theatre accessible to everyone with a variety of quality productions, to enhance artistic growth of participants and encourage audiences to think, feel and develop an appreciation for theatre. Our magical year ends with an astonishing look at the Christmas Season. This production, written by Patrick D. Burk, includes this area’s brightest and best performers, our younger artist as well as dance and song, tell a poignant tale of Christmas, community and love. It is a companion piece to last year’s The Christmas Gift. Full of the awe and wonder of the Holiday Season, Whispers in the Snow will be the performance that will put you in the spirt of joy and giving. It is indeed a wonderful and colorful way to end our 2017 Season, perfect for the entire family and kids of all ages.